Performance Accessories CL226PA raises the front of the vehicle 1.5 ? 2.5-inches. 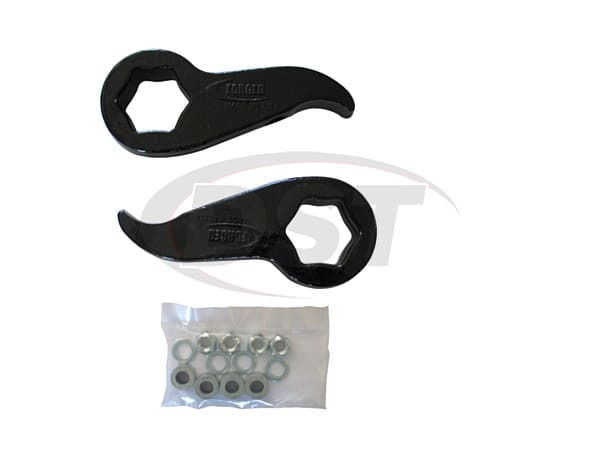 Kit includes high quality forged torsion bar keys, with shock extensions for the Chevy Silverado and GMC Sierra 2500HD / 3500HD pickups that maintains the vehicles factory ride. 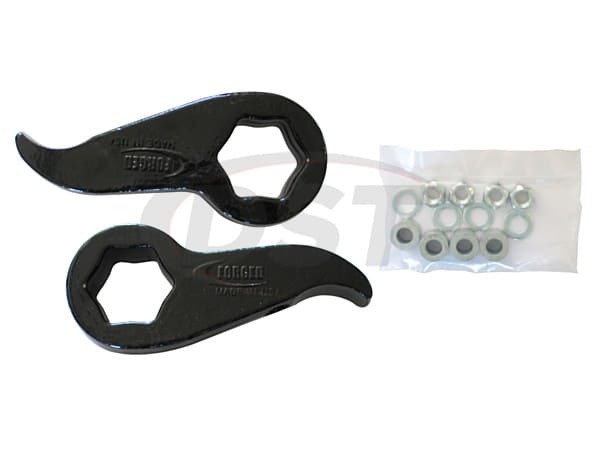 Performance Accessories forged leveling kit keys are designed to level out the front-to-rear stance of the vehicle. This allows the use of up to 33-inch tires for a more aggressive stance improving ride quality on and off-road while still maintaining proper suspension geometry. Easily installs within less than 2 hours.